It all started back in the spring of 2006 when I was browsing the internet and I found this thing called A State Of Trance 248, on a FTP server, downloaded it and gave it a listen. That was day one, or the beginning of what I have become today. Listening to that episode for about a week I was hooked, I wanted to hear more, to understand better what is this I am listening to. So I then searched for info about the radio show's host, Armin van Buuren, and his thing called ASOT. It was all new and exciting to me. I have never before heard such a music genre, but I knew that this was what I was looking for a long time. A place in my head, filled with the sweet sound of trance, where I can just unwind. Every Thursday I tuned in to DI.FM, or my HomeBase as I called it. After 3 years I attended Armin's concert on the beach of Navodari, my hometown. I hustled my way up to the front row. It was unreal to me what he was doing with his turntables on stage. Mixing songs and playing with sounds while still having a blast he made me curious about DJing. So I started reading about the software used by DJs to do a mix or record a liveset, and started experimenting myself. I began with Audacity and VirtualDJ, but soon changed my option to Traktor and now I am using MixMeister. In the near future I hope I will be using Ableton. Now I'm doing my own thing called Melodic Art. 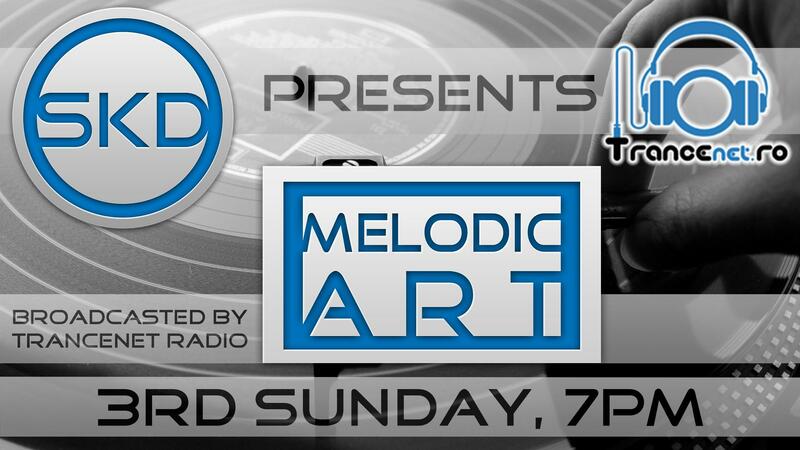 I even started a podcast named, you guessed it, Melodic Art Podcast. The main idea of my podcast is that every episode has to be unique. Every episode tells a different story and uprises a new experience in each and every one of my listeners. My mixes take you on a journey from the old to the new and back again, rises you from 128 BPM to a nose bleeding 140 BPM and then drops the beat like a stone in the sky. Keep on producing more awesome mixes. I'm not planning on writing my own tracks just yet but if the time comes you'll know. My focus is and will always be to send out nothing but quality sets with proper track selection and flawless mastering, so you can enjoy yourself in your own HomeBase. 03. W&W - Lift Off!